Yes gals we all need a go-to winter coat! Some like them over-sized, some like them puffy but nothing says style like tailoring. This is the kind of item that you would have in your wardrobe forever if you pick it up. It can take you from a normal day out shopping when you want to be glam, to a winter occasion like a birthday or christening to a night out on the town! You can't go wrong with a bit of tailoring and it is super easy to come across good tailored coats on the high street now. Many of them are inspired by designers and each season there will be variations but the basic elements remain timeless. Tailoring is all about shape and making your body look its best by nipping you in at the right places. 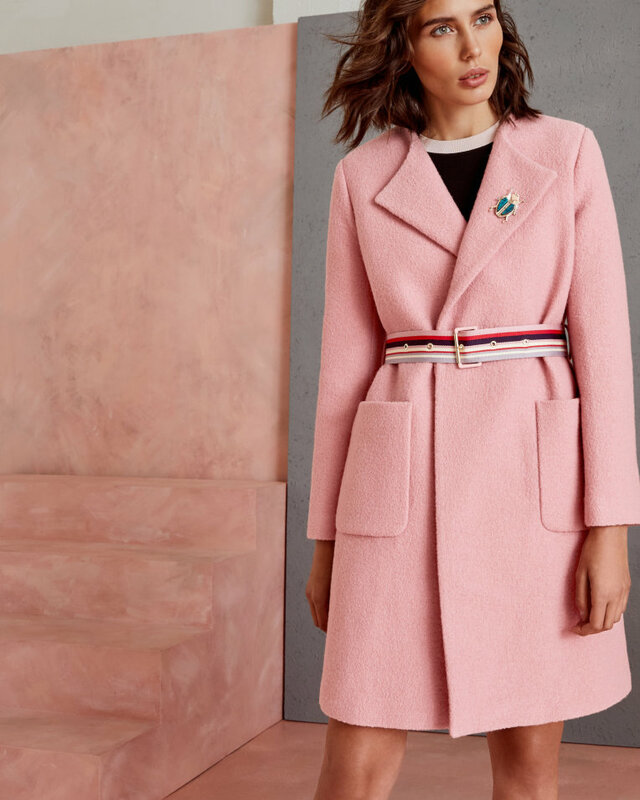 In general we tend to aim for an hourglass figure and a tailored coat with a belt is a gorgeous look for winter that can help you achieve this look. Inspired by the 40's and 50's fashion, tailoring has come full circle, it is a style that will probably be around forever and it is easy to see why with these five beautiful tailored coats. When you think of classic tailoring this is one of the styles that springs to mind. This coat is absolutely stunning. The shape is classic, the belt will bring you in at the waist and it features a small twist with the added mini cape style material at the front which is beautiful. 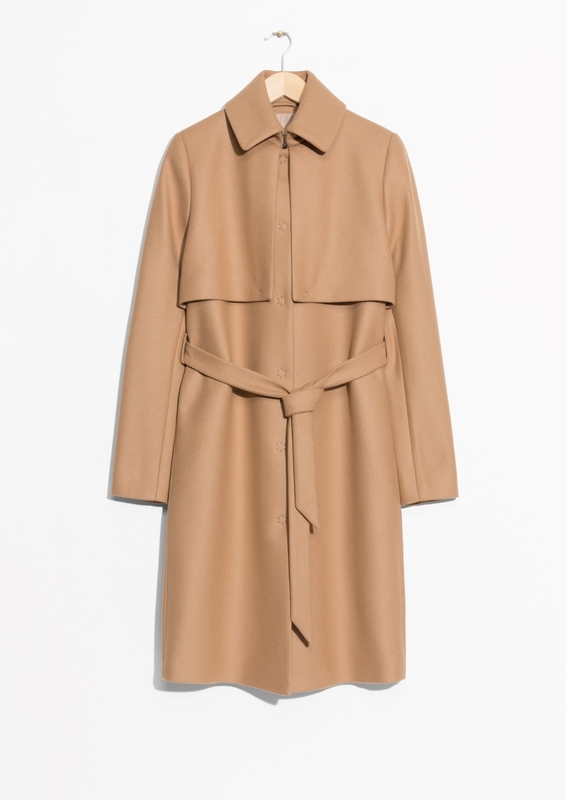 This is a classic coat that could find a home in many fashionista's wardrobes! Shop here. 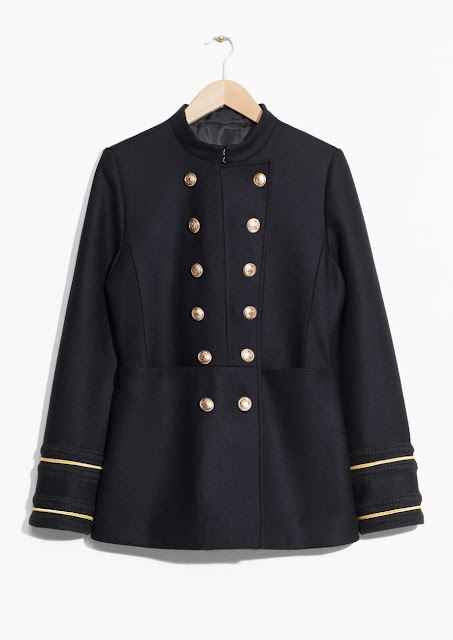 This stunning tailored captain coat is brand new stock to the high street and it is likely that other stores are going to have this style flying in over the next couple of weeks. This is a style that you either love or hate. This is such a classic look and it is not just for winter, this would be a gorgeous summer jacket too to just have over your shoulder. The detail is beautiful with the rope effect on the sleeves and the buttons.You would really wow people in this jacket! Shop here. This wool biker jacket is a good mix with the biker style we all know and love recreated into a classic wool coat. This coat is beautiful and an unusual olive green colour, this could really suit someone who never really considered themselves a tailored coat kind of person. The zip and collar are simple but stylish. Shop here. 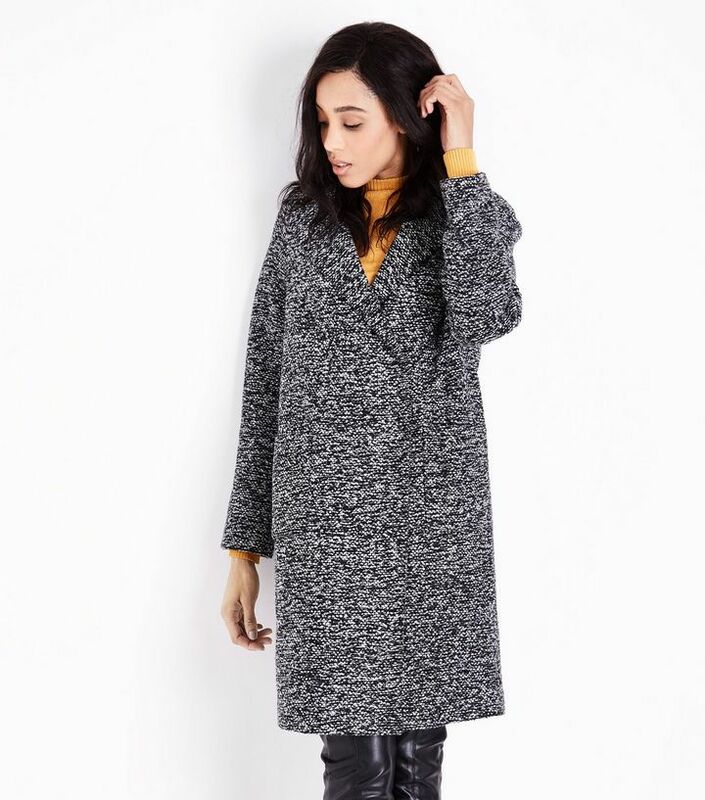 This black marl wide collar coat would suit most body types. It gives a beautiful silhouette, different to the classic hourglass. It looks super cosy and because it is that bit over-sized there is enough room underneath for your favourite knit. This coat just does all the work for you, all you would need is your favourite pair of boots along with it. Shop here. Take your winter tailoring to whole new heights with this little number. This Ted Baker beauty is classic but hidden in the details are tiny pops of modern twists. The bug broach adds something a little different, the huge pockets are old-school and practical while the coloured belt brings the whole look together! The colour is just so different. (It is also available in black). Definitely one to consider investing in! Shop here. Thanks for reading, happy shopping. Cyber Monday Discount Codes and Best Buys! Five bangin' blazers to nail this November!